This celesta is a very old Mustel made in Paris and properly maintained and restored by skilled technicians in Milano. Chocolate Audio carefully made sure the tuning was the best possible and spent quite a bit of time experimenting with mic choice and positioning.They ended up using a pair of AKG C414EB from the 70s for their silky and smooth sound as Spot mics and another trio of AKG 451E with CK22 omni capsules for the Decca perspective. Then, they chose to record the Celesta with its cover removed in order to obtain a less boxy sound, something that is very often done when recording such instruments.Nonetheless they emulate the effect of the cover inside our User Interface in case you’re looking for that boxier sound. The recording techniques we chose allowed us for a very close and up-front sound as a Spot sound. Plenty of low end in the attack is available due to proximity effect in our mic placement. The orchestral placement is easily achieved (in most presets) by cutting some low end with the on board EQ and adding the Decca channel. Later on, in post-production, Chocolate Audio decided to add two more options, sound-wise. A diffused reverb kind of effect on one channel and an hyped and shimmery halo on the other channel. These are sounds good for specific usage scenarios in cinematic composing and while orchestrating. 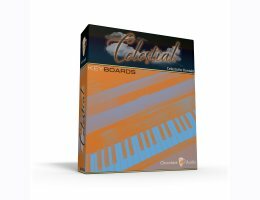 These four channels, by themselves or combined, give you a very wide palette of sounds from a single Celesta sample set.